Since we just introduced Syndra the Dark Sovereign to Game-Art-HQ, lets feature this League of Legends character with a skin idea / design artwork by Asher from the Gevurah-Studios from Australia. Thought it can also not hurt to give LoL Character Skin Designs an own tag, in the future there might be more added since the game is so damn popular. 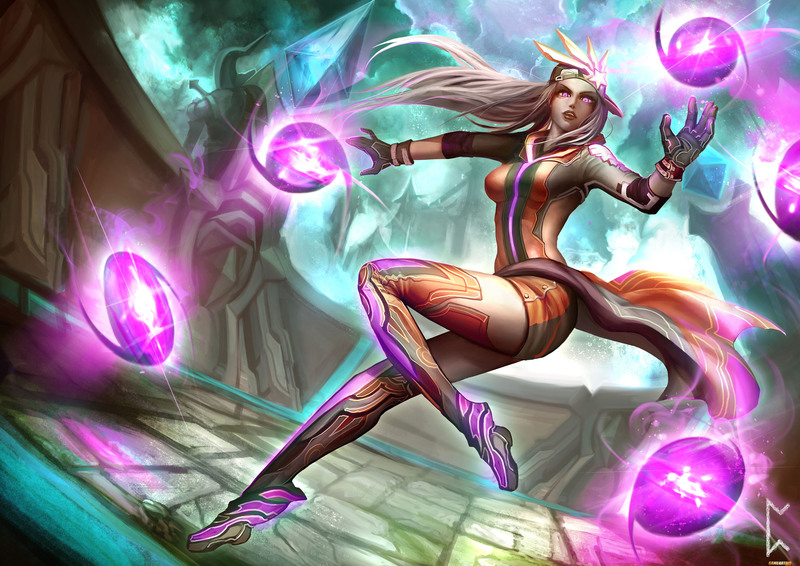 Syndra is normally a dark mage character, but Asher gave her much brighter colors here and tried to give her a Dodgeball related costume as well, to me she looks more like she could be a Blitzball player from Final Fantasy X though. Anyway, the artwork itself looks great, i like that it almost looks like one of the official splash arts!